The budding scientists perform experiments to test hypothesis about various scientific phenomena. We have a number of apparatus that can be used to measure such as dimensions of objects, viscosity, friction force, pressure, frequency, resistance etc. In our lab, we ensure that learners comprehend theoretical concepts by doing experiments themselves. It is more fun to learn through practicals and experiments than usual classroom lectures. 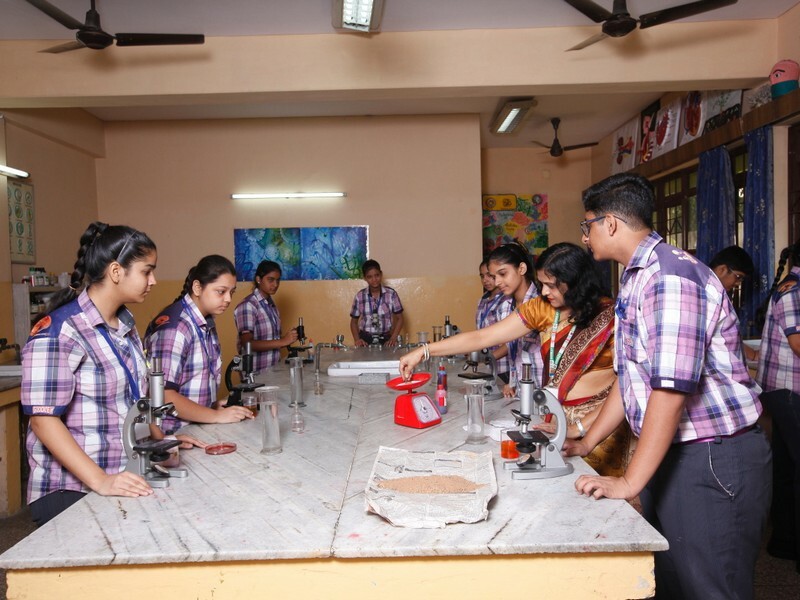 The Chemistry laboratory is designed while keeping all the statutory norms and safety standards. 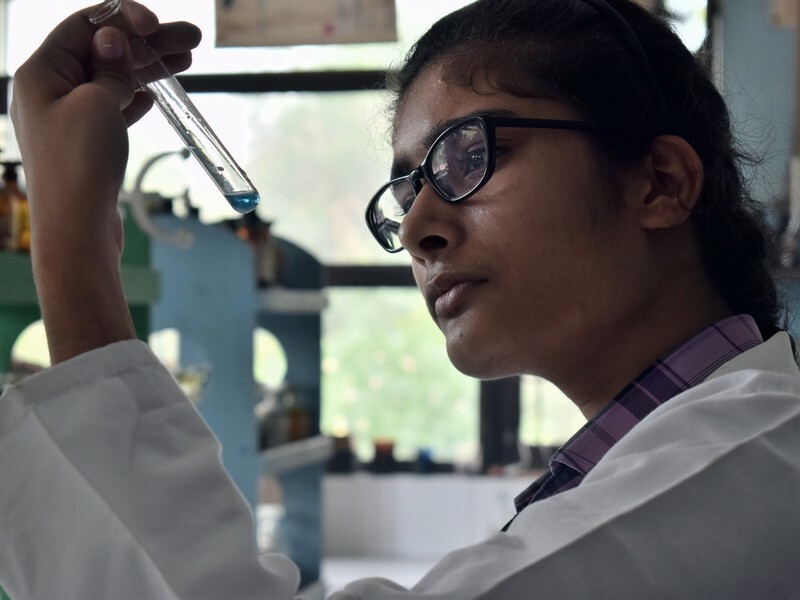 Here, a scientific attitude is developed in the students along with the ability to analyze, collate, compute, integrate and deduce. In the lab, the students learn to handle apparatus and chemicals. They improve their understanding of various chemical reactions and chemical processes. It enables personal verification of important experimental facts. In the Biology lab, the students study detailed structures, morphological, histological and physiological aspects of plants and animals. Study of slides, under the microscopes or studying the museum specimens kindles a natural curiosity towards nature and instills a joy of learning the flora & fauna around us. All the equipments and specimens that we have in the lab are open for the school students to be used under careful supervision. This is a place where our students are given a chance to ‘discover’ before they are ‘told’. 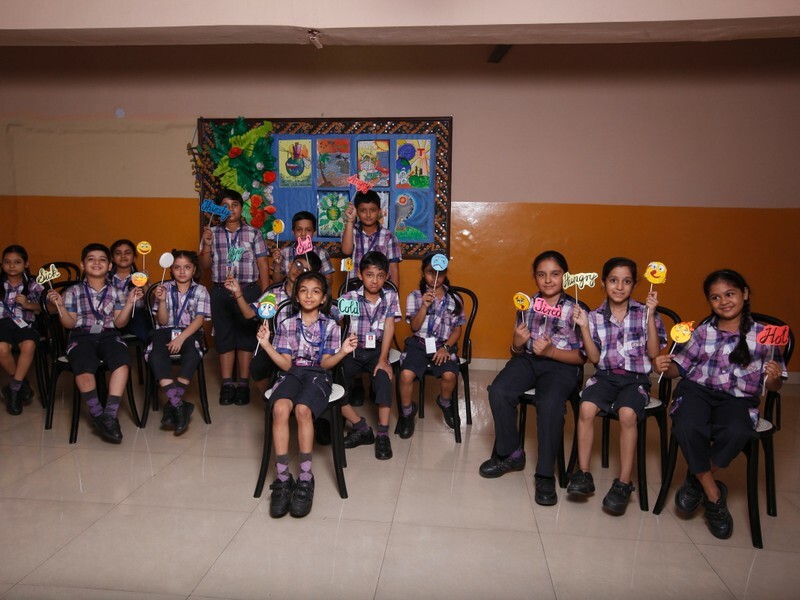 Children have the liberty to make models and projects by availing lab facilities. The Mathematics laboratory is a place where students experiment and explore patterns and ideas. It is a place where they find a collection of games, puzzles, and other teaching and learning material. 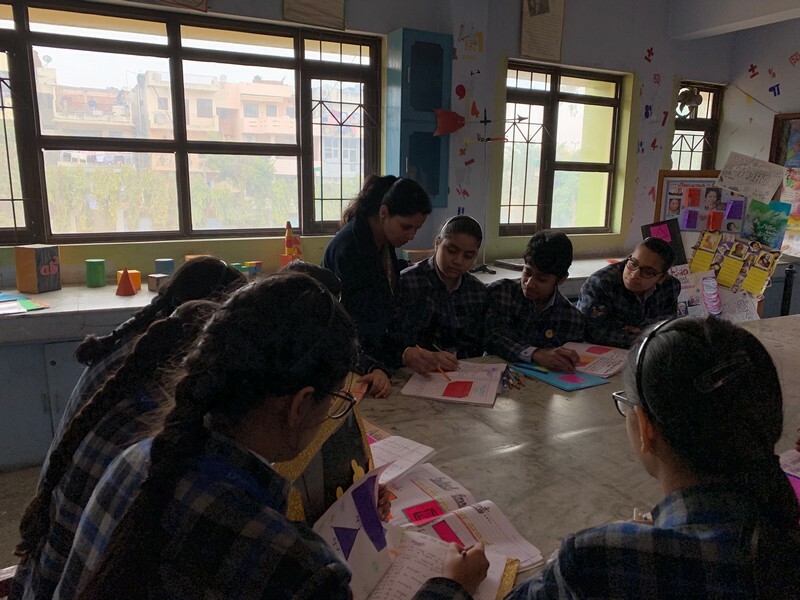 The materials are used both by the students on their own and with their teacher to explore the world of mathematics, to discover, to learn and to develop an interest in mathematics. The activities create interest among students who wants to explore, and test some of their ideas, beliefs about mathematics. The language laboratory plays an important role in the language learning process. As it is a technological aid for learning, it has a number of advanced facilities that can help a student to learn a language with proficiency to communicate. The School has two computer laboratories with 25 computers in each lab accessible to students. It has advanced infrastructure in terms of hardware and software which cater to the requirements of the students, teachers and the curriculum. The school is equipped with a dedicated broadband Internet connection which enables students to do comprehensive research for their projects and presentations. 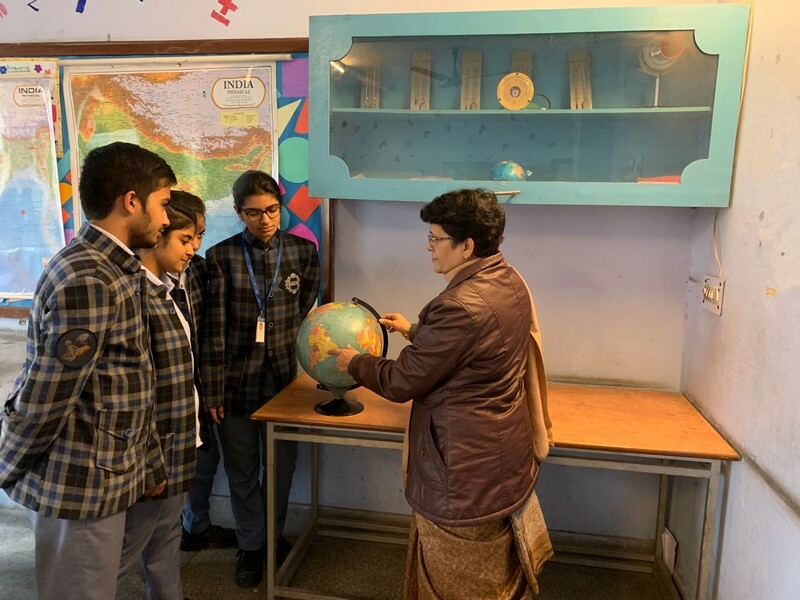 Geography lab is well equipped with a series of maps, globes, variety of survey equipment like plane table, thermometers, barometer, wet and dry bulb thermometers. Geography Lab specializes in the development of qualitative and quantitative research skills in the School.